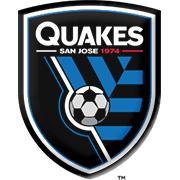 Sunday’s football match at Avaya Stadium pits together San Jose Earthquakes and Sporting Kansas City, the two teams with entirely different ambitions in the 2018 MLS season. San Jose aim to move away from the bottom, whilst Sporting are eager to secure a top-two finish. 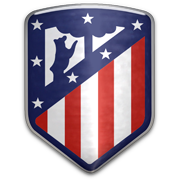 The hosts have been struggling at the back of late, with the team conceding eight goals in total in previous three league fixtures, therefore, we do not believe that they are capable of matching the Wizards. 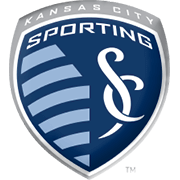 Sporting Kansas City recorded five wins in previous six league games and we are positive that they are going to spoil San Jose’s party at Avaya Stadium this weekend. In their last meeting in the Major League Soccer Sporting Kansas City recorded a 3-2 win over San Jose Earthquakes and we predict that the history is going to repeat itself. After making only one league appearance for Fortuna Sittard, Daniel Hoesen joined English club Fulham in 2009, but he did not see any game action for the capital club during his spell at Craven Cottage as he was sent on loan to HJK and Fortuna Sittard. In 2012 the 186-cm tall attacker signed a deal with Ajax and he scored seven goals in 32 league appearances for the Amstedammers from 2012 to 2014. In 2014 he joined fellow Eredivisie outfit Groningen and during the 2016/2017 season he was on San Jose Earthquakes’ radar. The Dutch footballer, who was born on January 15, 1991 in Heerlen, Limburg will play for the MLS outfit (on loan) in the 2017 season. Speaking of his international career, Daniel Hoesen has 10 caps for Netherlands U17 team and he made three appearances for the Dutch U21 side. He is still a Groningen player and his contract with the Eredivisie side expires on June 30, 2018. Sporting Kansas City have been competing in Major League Soccer since 1996 and they won their first MLS Cup trophy in 2000. The club faced Chicago Fire at Robert F. Kennedy Memorial Stadium in Washington in the play-offs final and Miklos Jon Molnar scored the winner for Bob Gansler’s team. 13 years later Sporting Kansas City met with Solt Lake in the title game and they were fortunate to defeat the Royals on penalties. The Wizards welcome their rivals at Children’s Mercy Park, but they used to play some games at Blue Valley Sports Complex, Julian Field, Hermann Stadium and Durwood Soccer Stadium in the past as well. Sporting Kansas City were founded in 1995 and the club’s original name was Kansas City Wiz. The Wizards wear navy blue shirts and dark blue shorts when playing at home, while the colour of their away kit is blue. Former Wigan Athletic man Roger Espinosa is regarded as one of the club’s most notable players and he has been playing for the Children’s Mercy Park outfit since 2015.